They've been around for years, a staple of the medium-sized print bands that shuffle casually into the middle of every festival poster. It's now been 10 years since I first heard "We Used to Vacation" in a tiny military town in the midst of Idaho. The song became a regular in shuffles shared with my friends, and I always pointed out the line that hooked me in the first place. "I'm just an honest man. Provide for me and mine. I give a check to tax deductible charity organizations." 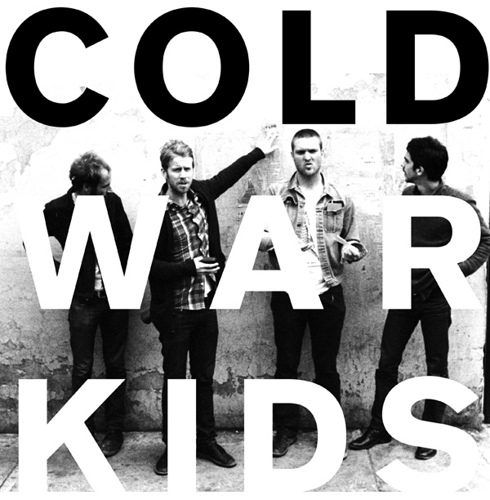 That line, dropped into a song about a struggling middle class working man with a slight drinking problem and normal person problems, defined Cold War Kids' style as much as the bar romp piano and riff-y guitar that it stood next to. Their style has changed a little over time. Their first two albums were stories not so much about characters, but from the characters themselves. A shift occurred later, for better and for worse. But on the better end you get songs like the rousing "First" and the heartfelt "Water & Power". When think about Cold War Kids' popularity, I think of a band always trapped on an endless plateau. They are liked, but rarely loved. They are not well known, but they are hardly obscure anymore. Yet when I think of them, I think of them as the band who opened for Death Cab for Cutie and blew them out of the water, a band who tells stories as well as any band not named The Hold Steady, and a band who you need to listen to more than you do. The last line that you said about them was really good and that summed up all the story of the band. Although they are good but they are not that much famous .